Aligned to the CA Intermediate(IPCC) 2017 Exam Outline for Information Technology specified by ICAI. This online training course on CA Intermediate(IPCC): Information Systems Control and Audit is designed and delivered by a CISA® professional with hands on experience in Information Systems Audit & Assurance. 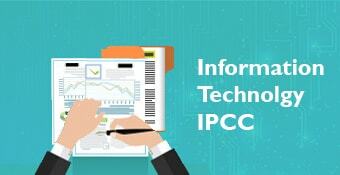 The course video lecture will enable you to clear this module of IPCC. 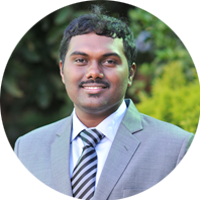 CA Narasimhan Elangovan is a practicing Chartered Accountant from the IT Capital of India, Bangalore. He specializes in niche areas of practice like Information Technology Consulting, Information Systems Assurance and Audit, Data Analytics, Implementation and Testing of Internal Financial Controls for clients ranging from start-ups to large corporates in the fields of insurance, banking, software companies, online retailers, and other conglomerate corporates. By qualification he is also a two time All India rank holder in Company Secretary Exams, holds a Diploma in Information System Auditor (DISA), a Diploma in IFRS from ACCA, UK. He is also Certified Information System Auditor (CISA), an international qualification for systems audit and cleared the exam amongst the top 20% of the world in ranking. Being the youngest faculty for DISA in India, he has also authored and presented papers and addressed seminars on Information Systems Audit, Digital India, Data Analytics, Cyber Security and many more at various levels across the country. He is also a visiting faculty at Institute of Chartered Accountants of India and teaches Information Technology (IT) for IPCC and Information Systems Control Audit (ISCA) for CA Final.